Lock in a great price for Complexe d'hébergement la Maison touristique Dugas - rated 8.5 by recent guests. This was one one the best places I have ever stayed in. Staff is very nice and the outdoor equipments and patio are very cool and comfortable. A very pleasant place to take a walk. The unit was clean and spacious. Comfortable beds, excellent breakfast, polite and informative staff, very clean. Breakfast was not provided. I did not have help with my suitcase. The room was too small, although the bed was comfortable. Other residents complaioned about my little dog barking and so I left after one night. No tea or coffee in the room either. homemade breakfast made by Isabeau, who really cooks well. beautiful decor. If you plan for it, you can cook your own dinner on the bbq in the backyard and enjoy it in a wonderful gazebo. The gazebo also provides a great ambience for your evening. I also liked the fact that there were 2 bathrooms to share (no waiting if another guest is taking a shower), recognizing this statement conflicts with an earlier review. I enjoyed the opportunity to speak French at breakfast. The breakfast itself was delicious. The free wi-fi extends to the gazebo which is a nice place to relax. 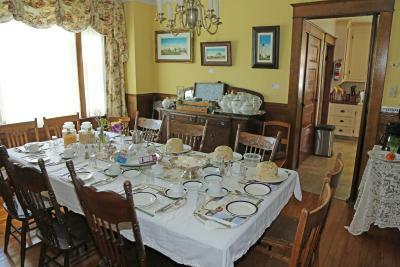 The accommodations themselves are not luxurious, but are a good value for traveler with an eye to economy. There is a $10 per night fee for a dog, which was not clear up front, but which is quite reasonable, especially given the fact that it is hard to find dog-friendly lodging. We enjoyed the walk through the campground to the shore. The property was beautiful. However, when we went in the next morning for breakfast, the manager held out his hand for the key and told us to enjoy the rest of our trip. So, we did not get breakfast. Was really disappointed with that, because usually when you book at a bed and breakfast the breakfast is included. 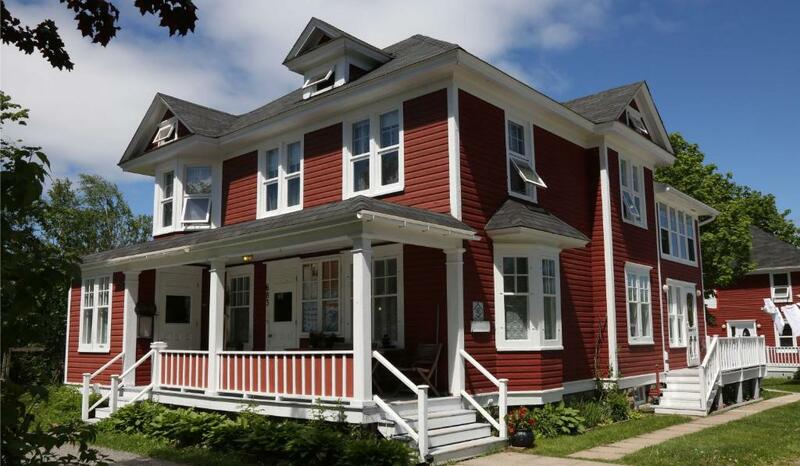 Located 5 minutes' drive from downtown Caraquet, the Complexe d'hébergement la Maison Touristique Dugas offers several types of accommodation. Free WiFi is available throughout the property. 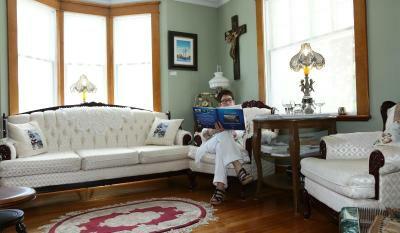 The inn is a historical house with authentic Acadian heritage. In the morning, guests can choose a hearty, hot breakfast from the breakfast menu. Self-catering guest rooms are also offered. These give you access to a communal lounge and a fully equipped kitchen where you can prepare your own meals. The suites are a more luxurious than the standard rooms and include a private bathroom, living room and kitchen. 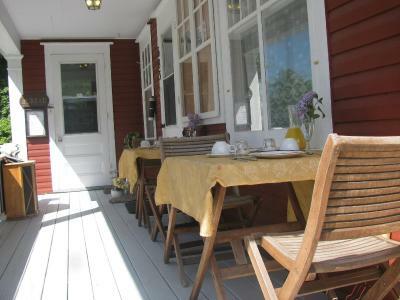 The cottages are more private and also offer a kitchen and a outdoor fireplace. All guest cottages, rooms and suites include a TV. During your visit, you will have access to the gazebo, terraces and beach. Propane cauldrons will allow you to cook the fresh seafood of the region. Barbecues are also available for guest use. 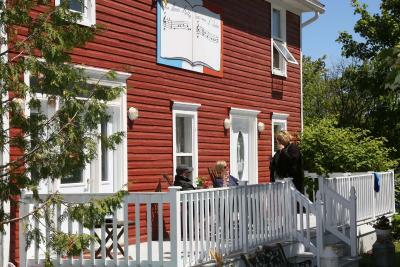 The renowned Acadian Historical Village is located 4.3 miles from La Maison Touristique Dugas. Many restaurants can be found within 5 minutes' drive. The beach is less than 10 minutes' walk away. Complexe d'hébergement la Maison touristique Dugas has been welcoming Booking.com guests since 13 Jun 2012. When would you like to stay at Complexe d'hébergement la Maison touristique Dugas? 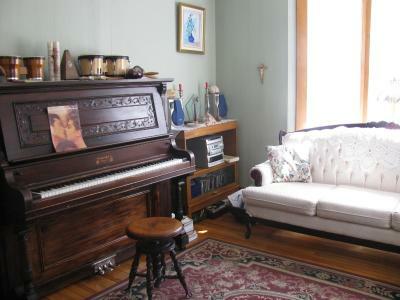 This room is equipped with a cable TV with DVD player, access to an enclosed sun room and a reading space. 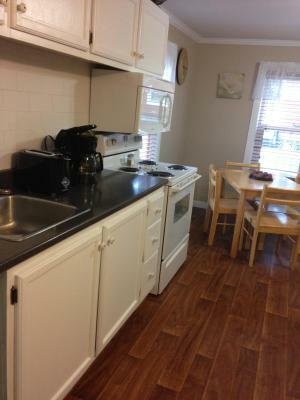 This room offers access to a full kitchen. Offering a private entrance, this suite includes a private bathroom, living and dining area, as well as cable TV. Offering a quiet setting, this cottage features an open concept bedroom/kitchen and bathroom with shower. It also includes a fire pit with grill, patio with chairs and picnic area. This suite includes a private bathroom, a living and dining area and 2 TVs with cable channels. This room features a TV with cable channels, as well as access to a fully equipped kitchen and a living area. The Complexe d'hébergement la Maison touristique Dugas offers a range of accommodation for different types of travelers. You will have the chance to meet other travelers in the common areas like the gazebo , terraces or the beach. By cons, if you wish to spend more intimate vacation you also have the option to have private accommodation . The land is large and you will be able to take a nice walk to enjoy the beach and beautiful sunsets. House rules Complexe d'hébergement la Maison touristique Dugas takes special requests - add in the next step! Up to two children under 6 years are charged CAD 20 per night when using existing beds. Complexe d&#39;hébergement la Maison touristique Dugas accepts these cards and reserves the right to temporarily hold an amount prior to arrival. Complexe d'hébergement la Maison touristique Dugas accepts these cards and reserves the right to temporarily hold an amount prior to arrival. The chalet we rented came with a fire pit outside but the two on either side of us were taken. There are 5 chalets and only 4 fire pits. The room are small, live very small ! You can barely open your luggage. Very nice and cosy stay! Very good tips and info. Bathroom smelled like sewage. Criters scratching in wall and ceiling of cottage. Packed up and left at 11:00 pm to drive home. No reimbursement and no offer for another room. Worse accommodation experience ever!!!!!! the bed was comfortable but would have prefer a larger bed. This felt like home away from home. Everything! Someone could have helped me with my luggage. Reception was professional, Bathroom minuscule.that's all. No tea or coffee in the very small room. Breakfast was not provided or even mentioned. As soon as I saw the room the receptionist triedto "upsell" me a larger room for $20 more which I declined.